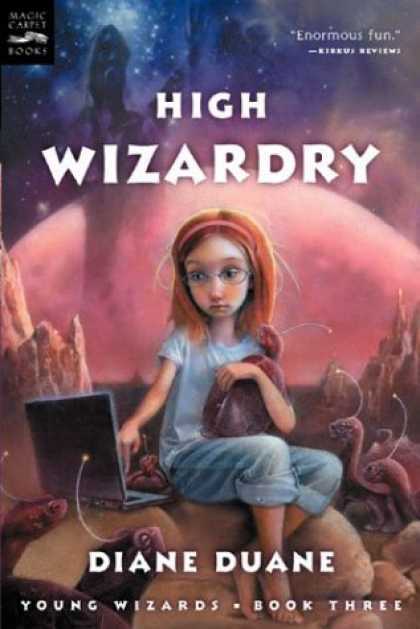 High Wizardry, by Diane Duane – The third book in the Young Wizards series finds Nita’s brainy sister Dairine becoming a wizard, transporting herself across galaxies, and creating life with help from a computer. As the book was written in 1990, a lot of the computer-related stuff is quite outdated by this point, but it’s still understandable from context. As with the first two books, there’s a confrontation with the Lone Power (i.e., Satan), and this time we also get a surprise appearance from the Archangel Michael. Michael reveals that, as various other times, he’s been Athena, Prometheus, and Thor, thereby confirming the tone that’s largely Christian but allows for other mythologies as well. I appreciate how these books can span the whole universe, yet are ultimately about the characters’ own growth and development. As Amy, who recommended the series to me, pointed out, it’s really quite similar to Madeleine L’Engle’s Wrinkle in Time books. The Annotated Classic Fairy Tales, annotated by Maria Tatar – This one actually predates her annotated volumes of the Brothers Grimm and Hans Christian Andersen, and includes a few of their tales that would later appear in those books as well. As far as I can tell, the annotations for these stories are the same, although there are some different illustrations. It’s not like I went over them with a fine-toothed comb, however, so I might have missed something. I’m not too concerned about it, honestly. Anyway, since I liked those other two volumes, it’s not surprising I’d like this one as well, and I’m sure I’ll be citing it in some of my future fairy tale posts. This entry was posted in Book Reviews, Fairy Tales, Mythology and tagged diane duane, high wizardry, maria tatar, the annotated brothers grimm, the annotated classic fairy tales, the annotated hans christian andersen, young wizards series. Bookmark the permalink. Did I tell you she’s releasing a new edition of High Wizardry later this year with the technology updated? She thoroughly explains exactly what she’s doing with the updates here, FYI! I wouldn’t think such edits were really necessary. After all, kids still read books much older than the Young Wizards series, and don’t seem to have any problem with them. (“Hey, why didn’t Dorothy just use her cell phone to call home from Oz?”) I can definitely see wanting to update the computer stuff, though.